Welcome to DWS, the 100% online Discount Kitchen Worktop Store. 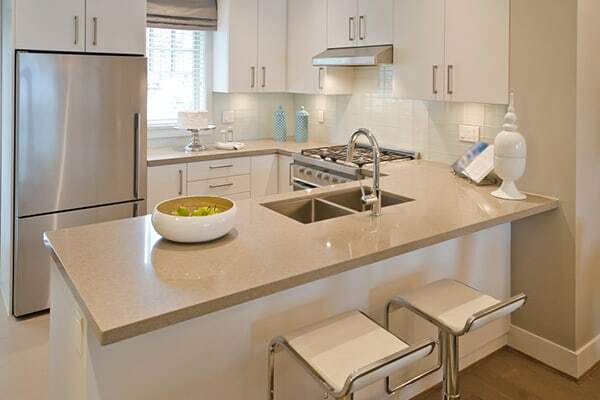 With 20 years of real experience in the kitchen worktop industry, we are committed to supplying genuine high quality solid surface, corian, quartz, granite and hardwood kitchen worktops and countertops with very high discounts online. We cover all kitchen worktops at better than trade prices! So rather than trawl through all the expensive High Street kitchen worktop showrooms, the cheap and nasty stores and the busy retail parks, simply purchase your dream kitchen worktops at Discount Worktops Store. The same kitchen worktops at up to half the price? Our kitchen worktops are the exact same worktops that you buy from the store but by being a 100% online store, we do not have the running costs of an expensive high street showroom and that saving gets passed straight to you. We still have a 5 Star Customer Service team that you can talk to and we only supply high quality, big brand name kitchen worktops across the UK; selling online to delighted customers from London to Edinburgh. We work with the largest supplier of premium kitchen worktops in Europe, offering the most comprehensive range of discounted counter top products manufactured under one roof. The quality and durability of our kitchen worktops is just as important to us as the low online prices that we offer. That is why we are so proud to be supplying DuPont™ Corian and Apollo® work surfaces which both come with the 10 year Manufacturer’s Warranty for the Corian® kitchen worktops. Plus our Apollo® Magna, Apollo Quartz, and Apollo Slab Tech kitchen worktop ranges. Our Silestone kitchen worktops also come with a 10 warranty backed by Silestone Cosentino. So with trade prices on the same high quality kitchen worktops as you get in the showroom, what do you have to loose? Explore our website and discover all the genuine branded kitchen worktops – all at trade prices and all available to you for your dream kitchen. I am looking to buy kitchen worktops – Which worktop material should I choose? 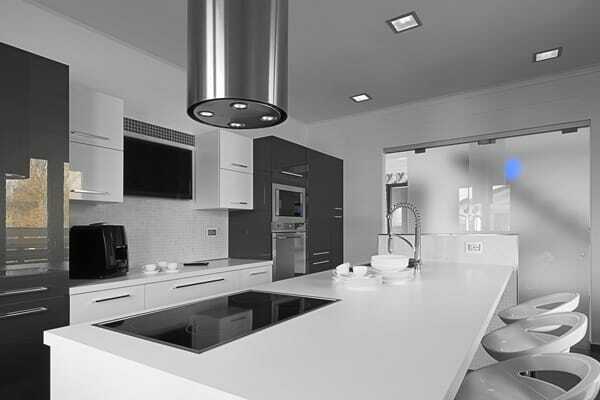 Corian Worktops are one of the most popular choice for new kitchen worktops in the UK. Corian is non-porous; therefore incredibly hygienic, naturally resistant to mould, mildew and bacteria. Corian worktops are the original solid surface worktop material and is made from acrylic resin and a mineral filler which makes the worktops coloured right through the entire material. Ideal for a range of kitchen styles from traditional to modern, Corian worktop ranges are complimented by splash backs, integral sinks, inconspicuous joins, covered upstands and many other exciting additional products. Apollo Magna Kitchen Worktops is a 6mm solid through and coloured mineral worktop material. Apollo Magna worktops offer a warm and inviting touch and takes on the ambient room temperature. Excellent for stain and impact resistance, Apollo Magna is an easy to clean and maintain worktop range that we can proudly offer up to 60% discount on versus high street competitors. Apollo Quartz kitchen worktops are a durable designer friendly worktop material ideal for remodeling a kitchen. With a fantastic selection of colours to match all types of kitchen from traditional to modern, Apollo Quartz also comes in a selection of vibrant hue options that are simply not available in natural materials such as granite. Apollo Quartz do not need polishing or sealing and because it is a non-porous material, is naturally resistant to mould, bacteria and mildew. Granite kitchen worktops are incredibly tough and hard wearing; so much so that they require diamond tools to cut and polish them into the final kitchen worktop shapes. Modern kitchen styles have seen more mixing and matching of worktop materials and the combination of wooden worktops and granite worktops in kitchens is proving to be a popular choice as it offers the best of usability and durability. Wooden kitchen worktops are perfect for both traditional and modern kitchen designs and can add a real touch of class to your dream kitchen. Fabricated Apollo Hardwood Worktops are finished to a silky smooth 500 grit and are virtually maintenance free thanks to revolutionary oil treatment which both protects and seals the wooden worktop prior to it even leaving the factory. Apollo Slab Tech Kitchen Worktops are a smooth and solid coloured worktop material that it popular thanks to its chunky good look and a selection within the colour range that have the highly desirable appearance of quartz. Its smooth hygienic surface is easily cleaned and maintained thanks to water, chemical and impact resistance. Silestone Kitchen Worktops are the first and only quartz kitchen worktop to come with bacteriostatic protection which makes it extraordinarily hard and resilient. It means that Silestone worktops are stain and heat resistant and do not require or need polishing or sealing which makes them a great low maintenance option of kitchen worktop. Thanks to a beautiful selection of quartz colours, Silestone kitchen worktops offers a huge number of decorative possibilities. 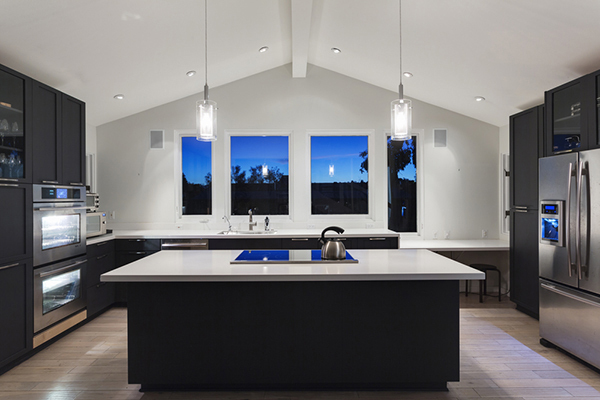 Zodiaq kitchen worktops are made from more than 90% natural quartz and natural pigments to make a worktop that is non porous, resistant to mould, bacteria and mildew. With a fantastic range of colours to choose from including a number of vibrant hues, Zodiaq worktops are a popular choice for all kitchen tastes. With two different thickness options and a soft sheen finish, Zodiaq kitchen worktops are a great choice for your new kitchen.